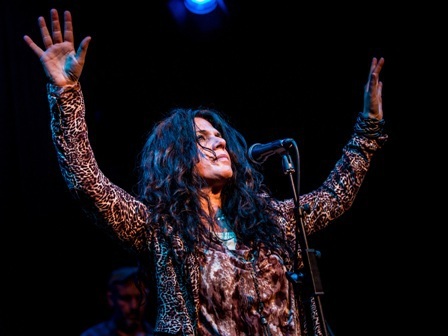 After several years touring America and Europe with blues legend Joe Louis Walker and renowned guitarist Popa Chubby New York-based Sari Schorr has released her debut album which she's promoting with a series of British gigs. The dates on the A Force of Nature tour include Huntingdon Hall in Worcester on April 13, 2017. Sari will be joined on stage by her new band, The Engine Room, which features former Robert Plant guitarist Innes Sibun. Also in the band are keyboardist Anders Olinder, bassist Kevin Jeffries and drummer Kevin O'Rourke. "The Engine Room truly is a remarkable band," says Sari, an inductee in the New York Blues Hall of Fame. "Something magical happens when we're on stage together. We're fuelled further by the audiences' reaction and everything's possible. I love touring and enjoy the privilege of meeting so many like-minded people who share our love of the blues." Talking about her album, A Force of Nature, Sari says it was written in four countries: America, Britain, Spain, and Germany. ''Basic tracks were recorded in London and Seville,'' she reveals. ''I'm grateful to have such amazing musicians on the album, who gave so generously of their time and talents. It features the guitar mastery of Innes Sibun, Walter Trout and Oli Brown and stellar keyboard work by John Baggott. "My songs are rooted in the blues and honouring that long tradition is important to me. My song-writing draws heavily on contrasting melodic hooks with aching harmonies. I spend a lot of time working over and rewriting my lyrics. I rely heavily on imagery and enjoy using double-entendres that are entertaining to those who catch them. My influences are many and various and include Son House, Howlin' Wolf, Muddy Waters, Lead Belly, Bessie Smith, Etta James, Ella Fitzgerald, Freddie King, Robert Johnson, B.B. King, Peter Green, Robert Plant, Martha Velez and Bob Dylan." 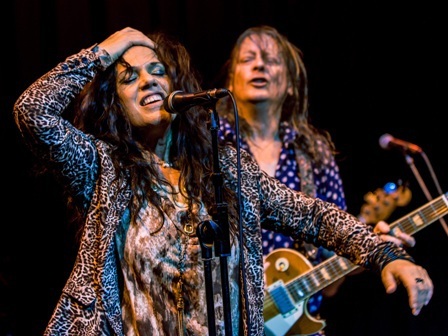 Sari herself has been described by many blues pundits as a modern-day hybrid of Janis Joplin and Tina Turner - a red-hot blues mama who radiates emotional intensity, connects with and inspires her audiences, and leaves a lasting impression. "I set out to write achingly honest songs about the beauty and the tragedy of the human experience,'' she says. ''I hope my music can be a galvanizing force to inspire, repair and unite people. I try not to allow constraints on my writing or my performance of the songs." Sari mixes a passion for music with a duty of social responsibility. Most notable is her work on Toast to Freedom for Amnesty International, where she collaborated with musical legends including Warren Haynes, Levon Helm, Keb Mo', Taj Mahal, Eric Burdon and Carly Simon. Sari's humanitarian efforts include work in Haiti and India and she is the founder of Matters, a non-profit organisation that draws attention to humanitarian causes through the arts. May 27: West End Centre, Aldershot. Why? A great night to get the blues.